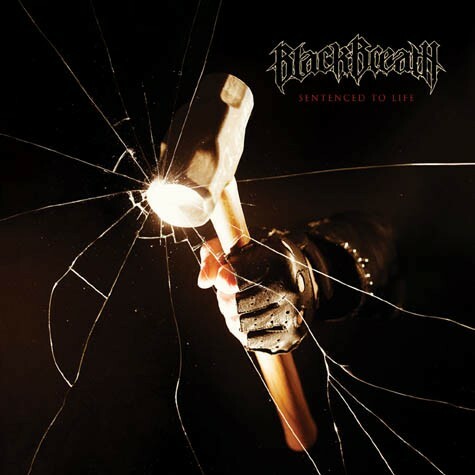 I can think of few better ways to celebrate Presidents Day than with a track off the new Black Breath album, Sentenced to Life. Out March 27 on the always dependable Southern Lord label, the album outdoes the Seattle metal dudes' ripping 2010 debut, Heavy Breathing, with a staggering level of spit-in-your-face pissed-off-itude that puts them somewhere between Entombed and an 18-car pileup. I've been obsessing over the promo since it landed in my inbox. The song "Mother Abyss" leaked last week, and I have anointed it today's 12 O'Clock Track. It's thrash-heavy and ferocious, with blazing riffs and drumming that barrels forward at insane speeds, and vocalist Neil McAdams screams like he's going to punch your face right off your skull. Converge's Kurt Ballou was once again behind the board, recording Sentenced to Life at his GodCity studio—like practically all his previous projects, the album has a sound that's thick, evil, and flat-out tuff.